IBM's Cognos delivers visual information on cumulative financial performance, strategy management and business intelligence, typically for analytics. The Sort Control Language (SortCL) data transformation program in IRI CoSort or IRI Voracity filters, sorts, joins, aggregates, segments, masks, and reformats data into subset CSV and other popular 'feed' files outside the BI layer. Staging data with CoSort improves Cognos performance, and avoids the data integrity and reconciliation issues involved with integrating data in the BI layer. For example, when a Cognos user created a report requiring sort, join, and aggregation steps, the entire job took 158 seconds. The same transforms ran in SortCL in 21 seconds, and the results were available to multiple applications. 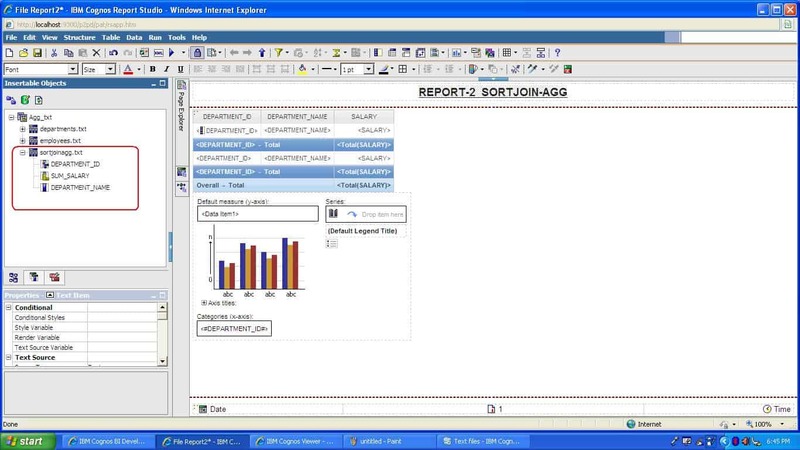 The Cognos user needed another 58 seconds to run the report with SortCL's data. Thus, the total time to produce the same report using SortCL to transform took only 79 seconds. For more information on the benchmark and how CoSort interacts with Cognos, klick here.